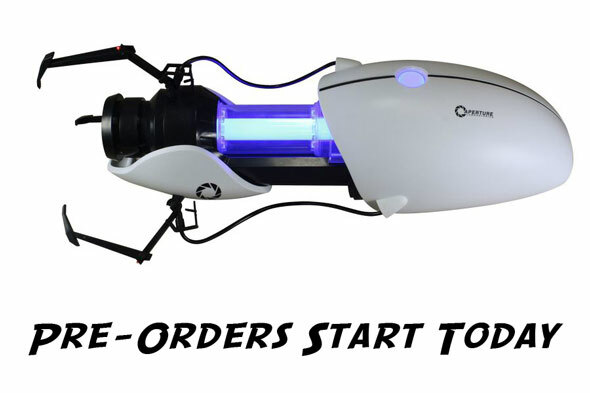 In an effort to ensure that our customers and Portal fans have acess to the Aperture Science Handheld Portable Device (ASHPD) at a reasonable cost, we are allowing a select number of key retailers to begin taking pre-orders starting today. These retailers are listed below and they will each have approved allotments of the ASHPD that they will receive at the end of April. We will announce a select number of brick & mortar retailers that will sell the ASHPD item in stores once they become available. At this point, the online pre-sell for this edition of the ASPHD are completed. Thank you for your interest and enthusiasm.